The Lockheed Martin-led shipbuilding team launched Littoral Combat Ship (LCS) 19, the future USS St. Louis into the Menominee River at the Fincantieri Marinette Marine Shipyard. 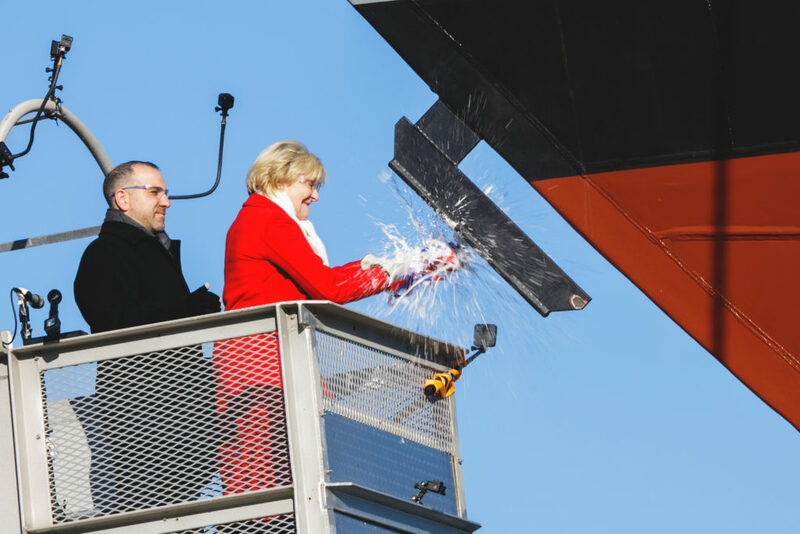 Ship sponsor Barbara Broadhurst Taylor, the daughter of a decorated World War II aviator, christened LCS 19 just prior to launch. This entry was posted in Christenings and tagged christening, christenings, st louis. Bookmark the permalink.